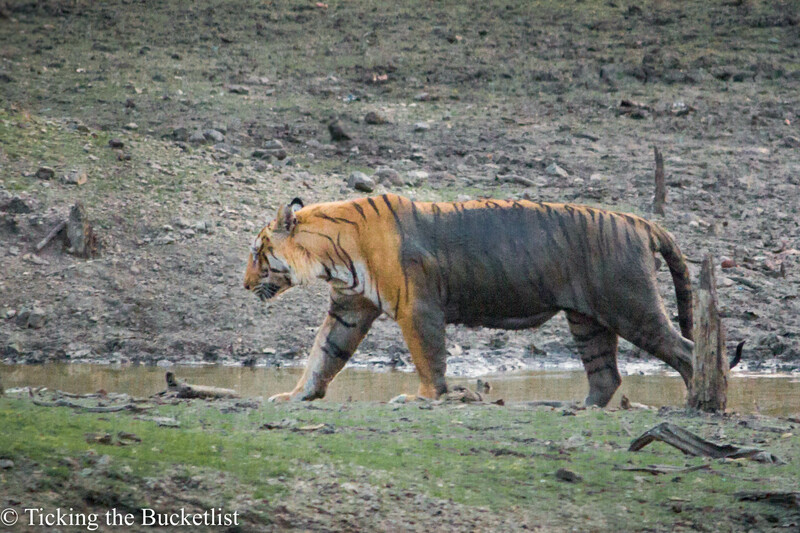 Ticking the Bucketlist » Planning a trip to Pench Tiger Reserve? Planning a trip to Pench Tiger Reserve? 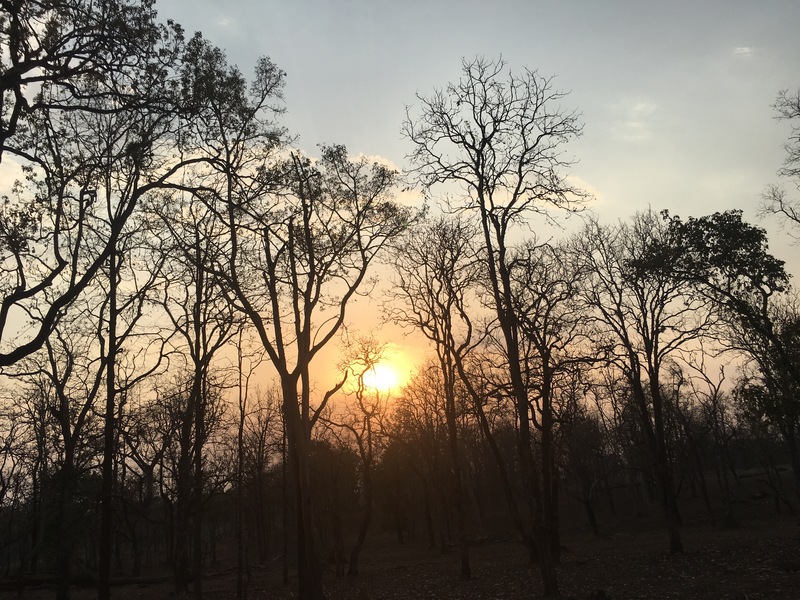 Pench Tiger Reserve is an ideal getaway for a long weekend from any city that is connected to Nagpur by a direct flight. The reserve is about 2 hours away from Nagpur. This forest is teeming with wildlife…langurs, deer, bisons and of course tigers and leopards. The forest is Mowgli’s home in the ever famous Jungle Book written by Rudyard Kipling. If wildlife does excite you and you have decided to visit Pench, read on to know a little more about Mowgli’s world…. 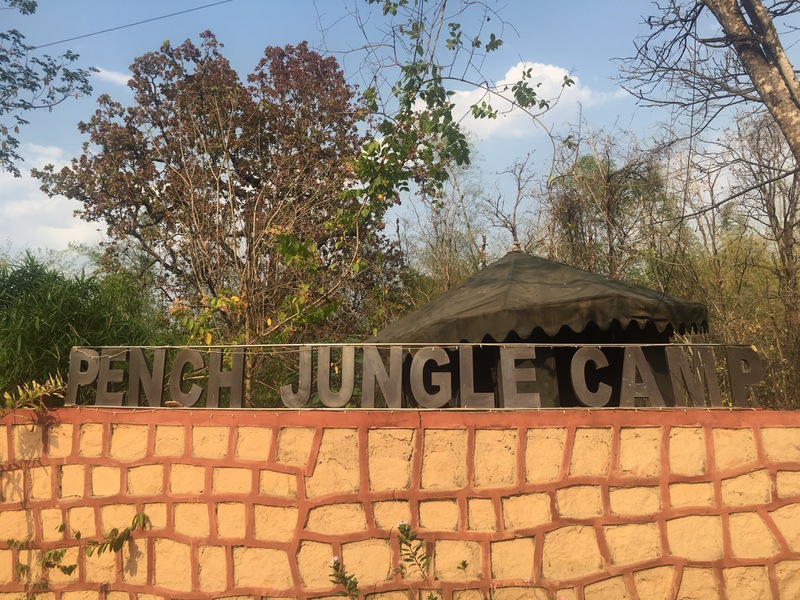 Pench is a deciduous forest and the trees are bare in summers, which also means that summer afternoons are hot and temperatures soar over 40 degrees Celsius. Winters are cold and the wind chill during the safari makes the mornings colder with temperatures as low as 6 degrees Celsius. The park is closed from June to September, during monsoons. This also coincides with the mating and calving period for the resident big cats. The forest is lush green from October to February. Undergrowth is plentiful. The big cats are typically spotted in the mornings walking on the dirt tracks as they do not like to wet their coat by walking in grass covered with morning dew. From March to June, the forest is dry. The grass is yellow. The bright red Mahua trees add vibrance to an otherwise drying backdrop. The big cats are usually spotted close to water bodies late in the evening or around the dirt road during the wee hours of the morning. There are two safari slots – morning (at about 6 am) and evening (at about 4 pm). Exact times vary a little depending on the season. Big cat sightings can happen at any time. While the popular belief is that mornings are better, I have always seen the big cats on my evening safaris – in India and in Africa. The national park has five entrance gates – two from the state of Maharashtra and three (Turia, Jhamtara and Karmajhiri) from the state of Madhya Pradesh. As of this year, the gate in Maharashtra is open in the monsoon season as well. There are new gates being opened in Maharashtra to increase eco tourism. One needs a permit to enter the national park. Permits are issued per vehicle. Each open gypsy can accommodate 6 people. Permits can be booked online at Maharashtra Eco Tourism website, if you intend to enter from Maharashtra or on the Madhya Pradesh National Park website if you intend to enter from any of the gates in Madhya Pradesh. About 10 permits are issued on the spot prior to the safari as well to cater to last minute wildlife enthusiast. Highly recommend booking the permits online if you are planning a safari over a weekend. Each permit costs approx INR 1370 for Indian citizens, regardless of the number of people in the vehicle. You will need to provide details of an identification document while booking. 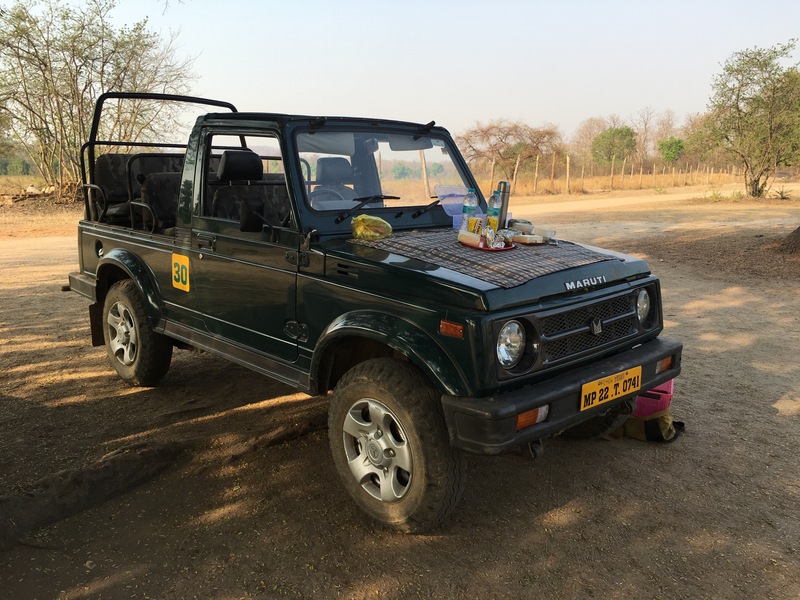 The primary booking contact needs to be in the vehicle for the safari and is required to carry the same identification proof. The MP tourism website allows one to add more people by modifying the booking. Our booking papers and identification documents were checked carefully by the forest officials each time we entered the park. Most of the resorts and jungle camps are located close to the Turia gate (Madhya Pradesh). Hence, permits for this gate are the first to get sold out. The most convenient gate for Maharashtra that has a couple of accommodation options around is the Sillari gate. Accommodation to suit most budgets is available near Turia gate…from the luxury Taj Safari camps to the Kipling Guest House run by the Madhya Pradesh State Tourism. Regardless of the season that you visit, carry an extra layer for early mornings…including the peak summer months. The jungle is really cool in the mornings and the open gypsy adds to the chill factor. Similarly, remember to carry a hat and suitable sun protection in all seasons. Carry plenty of cash. There are no ATMs around. Carry a good telephoto lens if you want food pictures. Having a good set of binoculars is great too. 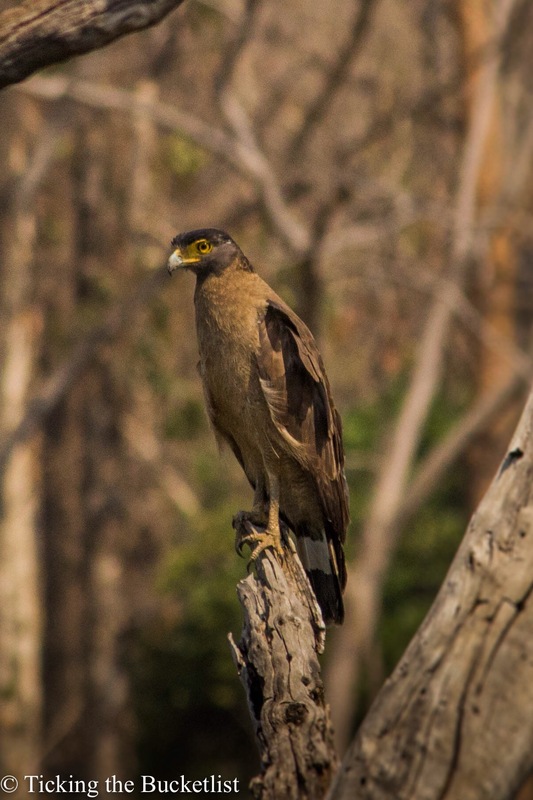 The bird life at Pench is great. Spend a little time looking up at the trees and you will be amply rewarded! 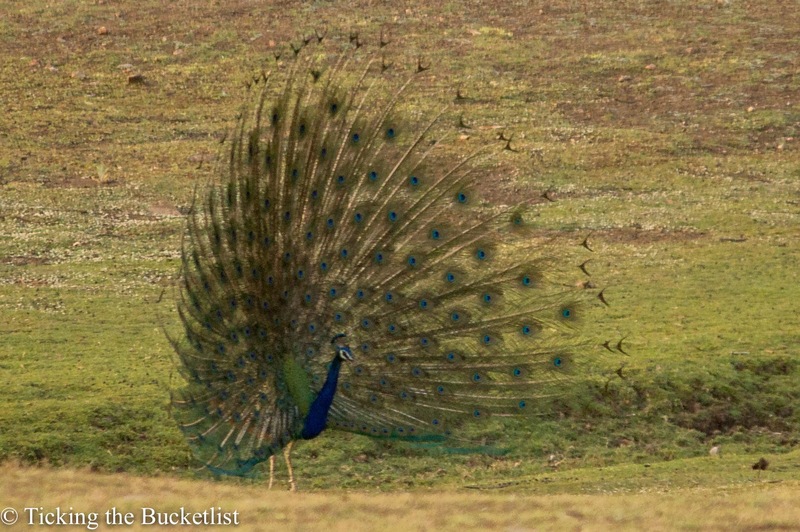 Lastly, get to Pench to enjoy Mowgli’s home …hear sounds of the jungle, watch the peacocks dance and deer flit. Let not sighting a tiger be your sole motive…you are then, bound to have an enjoyable trip! Good luck with the sightings! Enjoy your safari!